Whether it's adding depth, style or just an excuse to take the conversation outside, our Deco Motion Club Chairs are as versatile as they are beautiful. Motion club chairs gently rock back and forth and rotate a full 360 degrees. 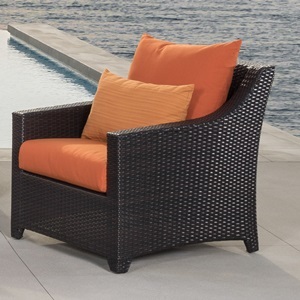 Constructed with high quality, powder coated aluminum frames and adorned in all-weather resin wicker, the Deco Collection can expand your patio with elegance and years of durability. 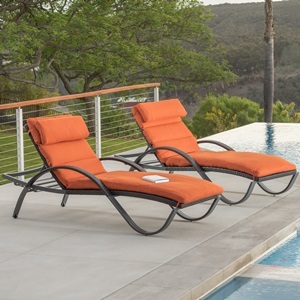 Set includes two motion club chairs with coordinated accent lumbar pillows. Chair rotates a full 360-degrees, and gently rocks back and forth.